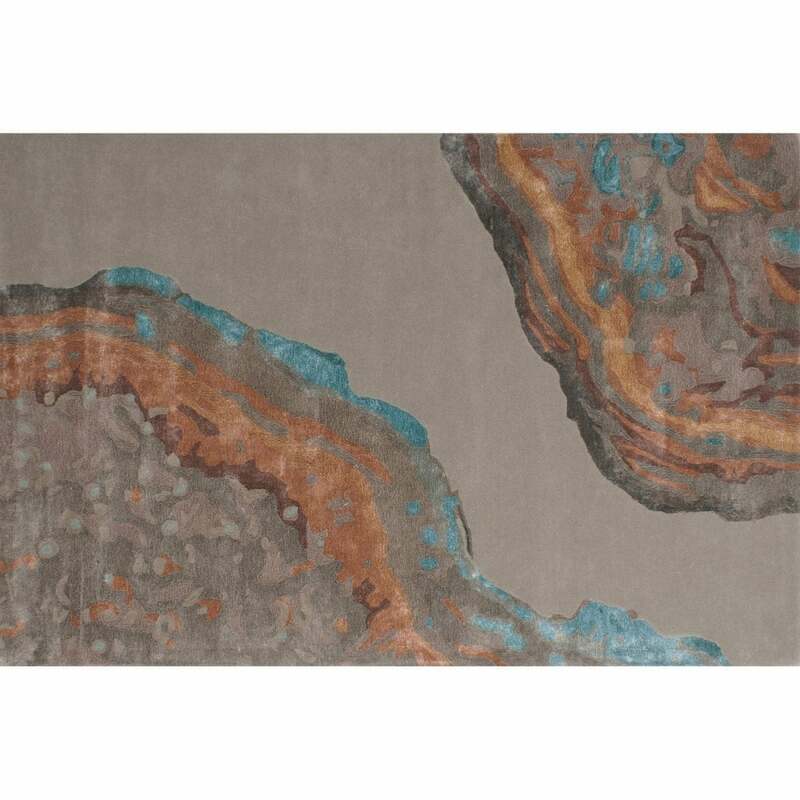 The Gemme Rug by Serge Lesage is brought to life with layers of striking pigments and colours. The artistic pattern draws inspiration from red-hot lava that spreads out from opposite side of the carpet. The movement of the shapes and curves are influenced by sporadic forces of nature. The rich hues of red, orange and blue contrast beautifully with the neutral backdrop creating a unique visual composition that has textural depth. Crafted by skilled artisans, Gemme is hand-tufted using the finest New Zealand Wool and viscose blend. Available in both standard and bespoke sizes. Make an enquiry for more information.